Is Ford Focus a good first car? As a parent, you’re definitely thinking about what’s the best first car for a teenager. Driving involves plenty of responsibility, plus a number of risks. The best first cars need to support confidence, while still providing solid safety and security. Thanks to its low cost, reputation for reliability, and excellent fuel efficiency, you might be wondering about the 2018 Ford Focus from your Southern California Ford Dealers. Let’s explore the features that make this a good first car. 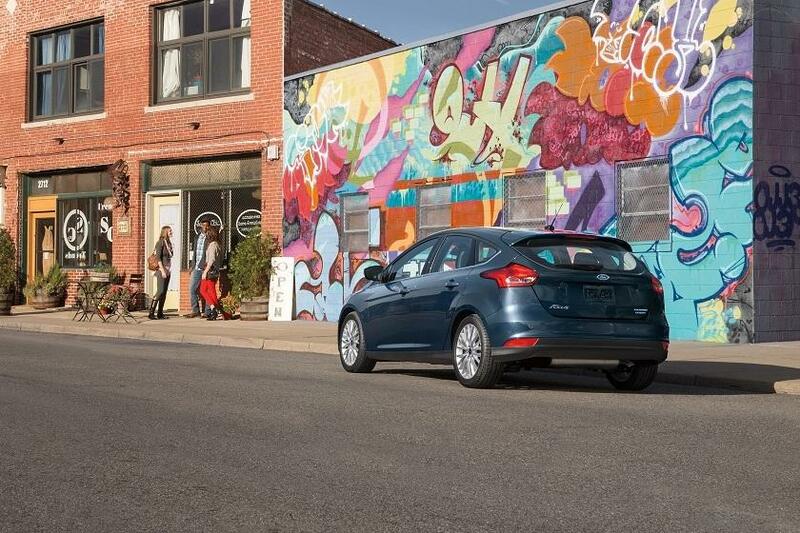 Thanks to modern technologies, the 2018 Ford Focus will help a younger driver to watch for and avoid dangerous situations. It’s a proactive approach to safety that can greatly reduce the risk of accidents. The blindspot information system uses sensors and a camera to detect when a vehicle is in the next lane, illuminating a warning light on the side mirror. If you turn on that turn signal to change lanes, an audible alert tells the driver of the danger. A reverse sensing system uses a similar approach to prevent the driver from backing into another car or other obstacles. A rearview camera comes standard on all 2018 Ford Focus models, boosting safety further. Other driver assistance technologies include a lane-keeping system and active park assist. Always being there to encourage your new driver to be cautious isn’t realistic. With Ford MyKey, teens have incentive to behave while behind the wheel. Once you program the key to a restricted driving mode, the Ford Focus will remind everyone to fasten their seatbelts. It can also limit how loud the sound system volume will go and block explicit content on satellite radio. If you want, the system will warn about low fuel earlier, so your inexperienced driver has more time to find a gas station. The technology even prevents the car from breaking a certain speed. You can tell a new driver to not use their phone while behind the wheel, but the temptation is tremendous. Thankfully, the Ford Focus can be had with an advanced Sync 3 infotainment system that includes both Android Auto and Apple CarPlay. This feature means you can control phone functions using intuitive voice commands. With that level of convenience, the temptation to hold a phone while driving goes down significantly. On compatible smartphones, certain apps even appear on the car’s touchscreen. Accessing popular things like Google Maps and Apple Music is safer on a larger and more convenient screen placed high enough for your younger driver to keep their eyes on the road. Newer drivers don’t know the roads as well as someone who’s experienced. If you rely on navigation, even from time to time, a first car should definitely have this convenience. The 2018 Ford Focus can be outfitted with a navigation system that includes a five-year prepaid SiriusXM Traffic and Travel Link trial subscription. With GPS and 3D mapping, plus audible turn-by-turn directions, anyone will find their way with greater ease. 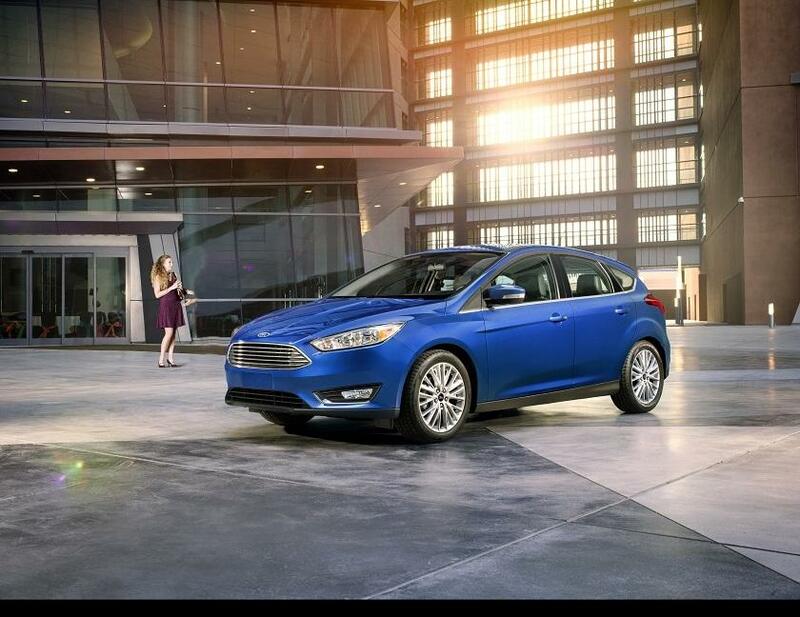 Learn more about the 2018 Ford Focus by visiting your Southern California Ford Dealers.